Whale watching adventure from Sydney Harbour. 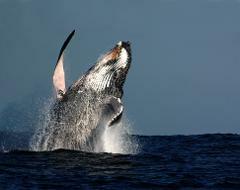 Seeing these giant mammals of the sea has the ability to change your whole view on life. Buffet lunch and commentary on the whales and Sydney Harbour included.